You can now download iOS 12.1.1 final IPSW links and over-the-air OTA update. Once again, after a period of internal and external testing, Apple has found itself in a position whereby it’s ready to share the next version of iOS with the general public. And that’s what this release is all about. 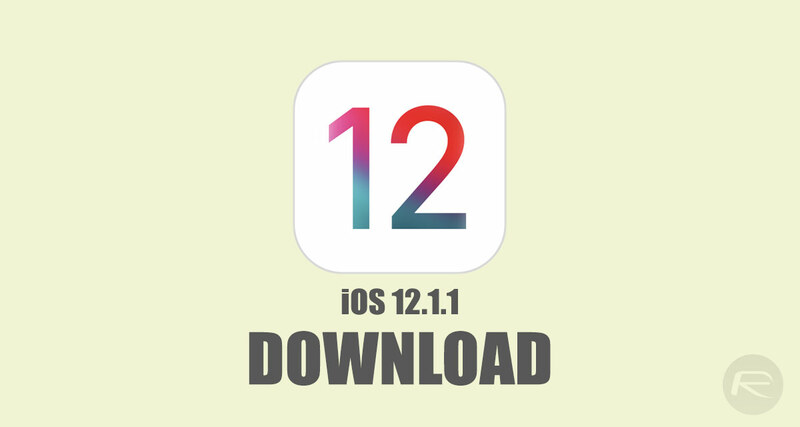 As the versioning of this release suggests, iOS 12.1.1 is predominantly about bug fixes, streamlining the performance of the platform on all compatible hardware, and ensuring that any known security issues are fixed. With that said, this release does also unlock some minor features that give iPhone and iPad owners something to sink their teeth into. For iPhone XR owners, iOS 12.1.1 introduces expanded Haptic Touch and allows it to be used to expand notifications on the lock screen. This is clearly being exposed in the absence of 3D Touch on the iPhone XR’s Liquid Retina LCD panel. Apple has also used this latest release to make some ever-so-slight UI changes to the Apple News app on iPad when it is being used in landscape orientation, as well as some tweaks relating to the new eSIM functionality that allows a device owner to have more than one number in operation on their modern iPhone device. Finally, Apple has also made a few amends to FaceTime within iOS 12.1.1, including re-introducing the functionality that allows a Live Photo to be captured during a FaceTime instance as well as making some visual changes to the bottom bar and how certain features and buttons are accessed. This is definitely an answer to the disgruntled calls from users who thought that Apple’s recent iOS 12 changes to FaceTime were a usability nightmare. It’s good to see that the Cupertino-based company has taken that on board and made some amends with a quick turnaround. It’s especially important considering FaceTime now supports up to 32 people in a single call and will likely have more people using it and interacting with it on a daily basis. Update x1: For detailed look at what’s new in iOS 12.1.1, check out: iOS 12.1.1 Final Changes, Release Notes And Features: Here’s What Is New.